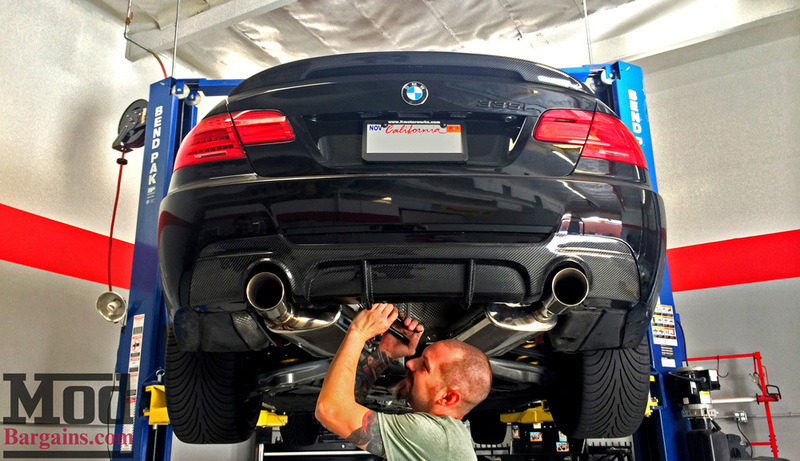 Today we were installing a Carbon Fiber Performance Style Rear Diffuser for E92 BMW 335i M-Sport when it dawned on us that we didn’t have any photos of this diffuser actually installed on a E92 BMW 335i, so we sought out to fix that problem ASAP. Sr Mod Expert Alan Wei coordinated this particular install. We caught our Senior Tech Dave mid-install as he made the finishing touches to adjust the exhaust position so that it lined up perfectly with the diffuser. 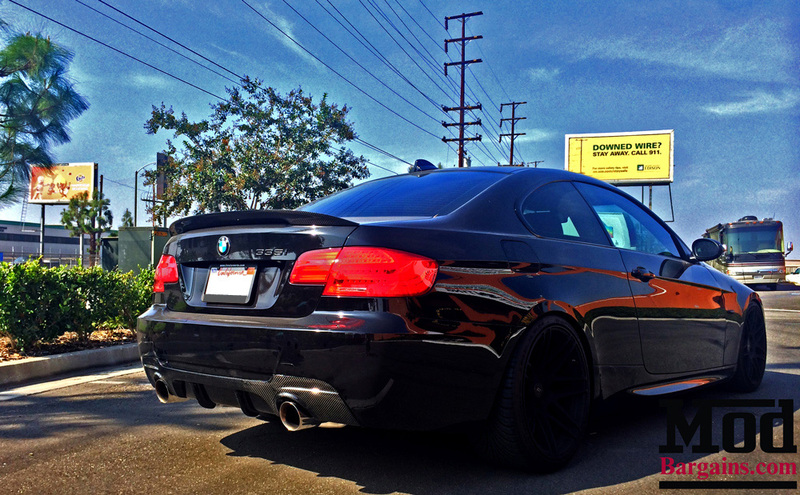 The all-carbon fiber diffuser panel gives the rear end of this E92 exterior a fresh, modern look and gives new life to this Bimmer’s behind. 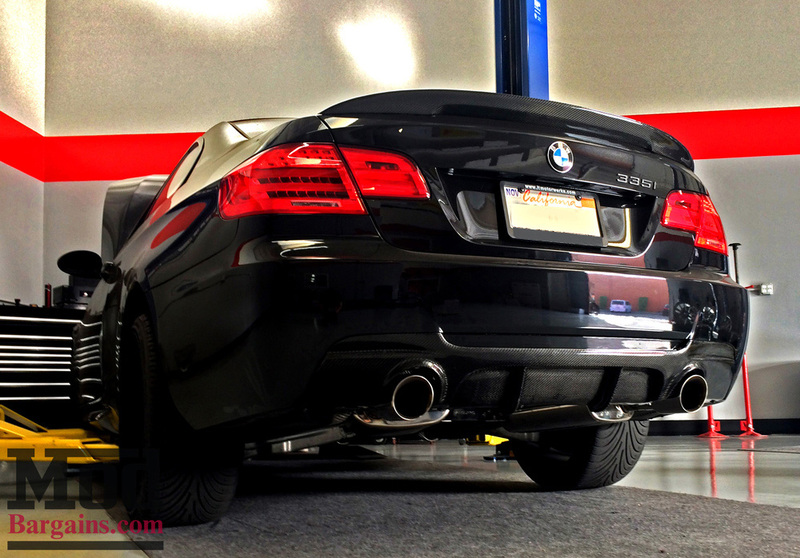 As you can see, this Carbon Fiber Rear Diffuser is a great compliment to any dual exhaust setup, but is also available in quad exhaust flavor for those of you with those types of systems. With the car back on the ground and out in the sun, the car looks amazing with the Forgestar F14 Super Deep Concave Matte Black wheels in the back. Interested in giving your BMW a more interesting exterior aesthetic? Talk to the Mod Experts like Alan at ModBargains – call us at 714-582-3330 (dial x8006 for Alan) to find out what we can do for your ride!